« Jeff Lange Remembers Pleasure Island Classics 2-DVD Set Released Today. Hello everyone, welcome to photo memories #8. In this edition I am featuring images from the early years of Walt Disney World’s nighttime entertainment district Pleasure Island. You can notice changes to the outside of the island in these first two photos. The left image was taken around 1990 and the right was from this past year. Note the worn looking warehouse paint job on the older shot and the growth of the tree and upgrade to the bridge in the current photo. 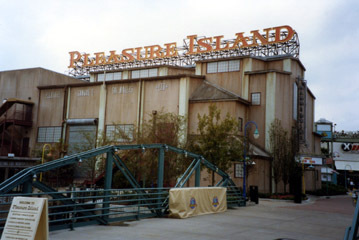 The above were restaurants from Pleasure Island’s opening years. 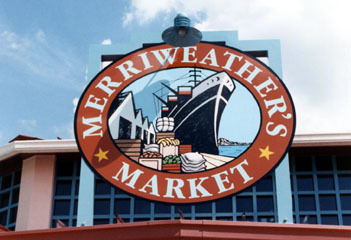 Merriweather’s Market was a food court that operated from 1989-1993 and was where Raglan Road stands today. 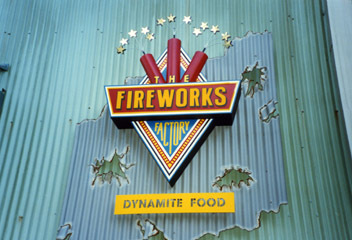 The Fireworks Factory was a pyrotechnics themed restaurant (a favorite of mine) that operated from 1989-1997 and is where Motion dance club is currently. 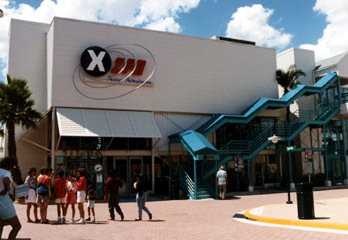 Jessica’s of Hollywood and the XZFR Rockin’ Rollerdrome were both very short lived. 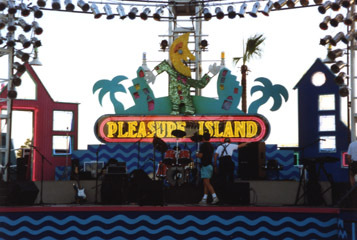 The Grand Funmeister was your original host of Pleasure Island (as seen on the West End Stage). 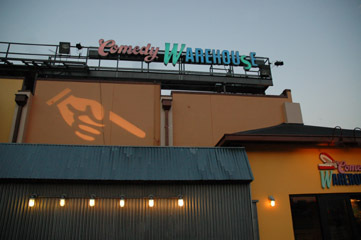 The Comedy Warehouse originally featured a parody show called “Forbidden Disney” (which will be featured in it’s entirety on my upcoming Pleasure Island Classics DVD). 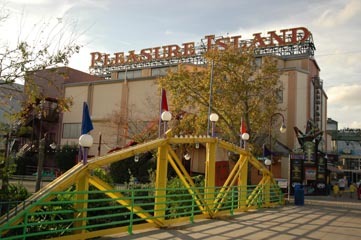 As stated above I am currently working on a new DVD title featuring the Original Pleasure Island shows and performances. It will include the entire original New Years Eve countdown show and fireworks, The rarely seen “Forbidden Disney” show from the Comedy Warehouse, scenes from around the Island & the original nightclubs, various Adventurers Club Library shows and skits from it’s early years and more. If anyone has any suggestions on this new title please send them to the email address below.